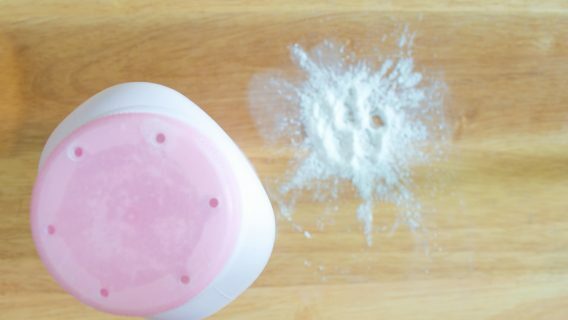 Did you develop cancer after talcum powder exposure? Lawyers have filed thousands of lawsuits on behalf of people who developed ovarian cancer or mesothelioma after exposure to talcum powder products. In 2018, a jury awarded a $117 million mesothelioma verdict and a $4.69 billion ovarian cancer verdict. And Johnson & Johnson and its talc supplier agreed to pay $1.5 million to settle a mesothelioma lawsuit. People are filing lawsuits against industrial and cosmetic talc manufacturers over claims that talc exposure led to mesothelioma or ovarian cancer. Lawsuits say manufacturers knew talc could cause cancer, but they did nothing to warn consumers about the risk of their products. Instead, manufacturers concealed the dangers from the public. A bombshell report by Reuters news agency in late 2018 underscored those claims. The investigative article detailed how Johnson & Johnson knew for decades its baby powder products were tainted with asbestos, a mineral known to cause cancer, but the company failed to publicly disclose that information. According to the Reuters’ story, Johnson & Johnson’s raw talc and powder tested positive for trace amounts of asbestos on several occasions between 1971 and 2003. But the company kept the information to itself. The article cited numerous internal company memos, reports and other documents disclosed during talc lawsuits. Johnson & Johnson’s Shower to Shower as well as other cosmetic talc products and industrial talc have also been implicated in talcum powder-related cancer claims. Lawsuits say inhaling asbestos-contaminated talc led to mesothelioma and genital use of talcum powder led to ovarian cancer. Companies named in lawsuits include Johnson & Johnson, Vanderbilt Minerals, Colgate-Palmolive and Imerys Talc America. Johnson & Johnson faces the largest group of talc cancer claims. According to an October 2018 report filed with the Securities and Exchange Commission, the company faces 11,700 talc-related lawsuits. Most are pending in Missouri, New Jersey and California courts. While defendants have won some cases, juries have returned billions of dollars in verdicts for plaintiffs, and lawsuits continue to pour in. Most settlements so far have been with individual plaintiffs for undisclosed amounts. But in December 2018, news broke that Johnson & Johnson and its talc supplier, Imerys Talc America, had negotiated a $1.5 million settlement to resolve a mesothelioma lawsuit. Why are women and their families filing talcum powder lawsuits? 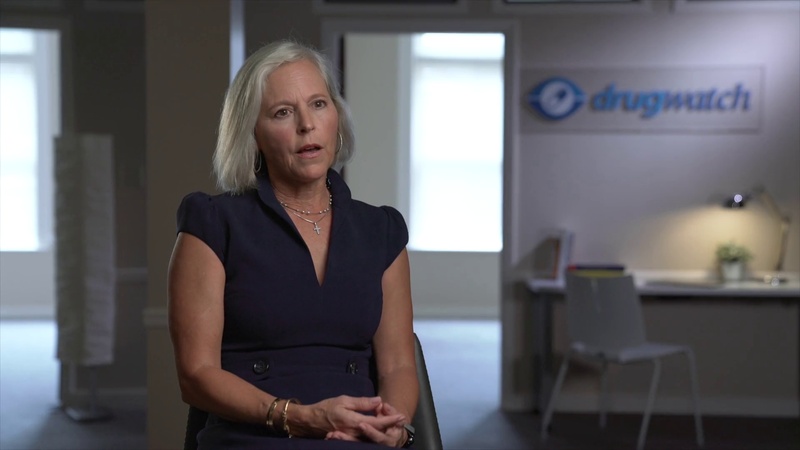 Attorney Holly Ennis describes the main reasons people file talcum powder lawsuits. Litigation is ongoing in talcum powder lawsuits that claim industrial or cosmetic talc contaminated with asbestos led to mesothelioma. As of April 2018, juries had awarded more than $153 million in talcum powder mesothelioma claims. People who filed these cases claim inhalation of talcum powder led them to develop mesothelioma and lung disease. Asbestos is the main cause of mesothelioma, but some lawsuits argue that with or without asbestos contamination, talc can also lead to the disease. Plaintiffs cite studies that prove the association between talc and mesothelioma, mainly one by Hull and colleagues published in 2002, according to Claims & Litigation Management Alliance. The study found that talc miners and millers in upstate New York developed mesothelioma from talc even without asbestos contamination. In 2006, a man who worked in a pottery studio filed the first talc mesothelioma case. He claimed exposure to talc made by Vanderbilt led to his mesothelioma diagnosis. He died during litigation, but his widow received $3.35 million. The most recent lawsuits allege asbestos-contaminated cosmetic talc products can cause mesothelioma. Stephen Lanzo III was one of the most recent plaintiffs to go to trial. In April 2018, a New Jersey jury awarded Lanzo and his wife $117 million. Lanzo’s lawsuit claimed he developed mesothelioma after using Johnson & Johnson’s Baby Powder and Shower to Shower for decades. Johnson & Johnson and Imerys agreed to settle a similar case in December 2018 for $1.5 million. Ann Zoas, a 78-year-old from New York, claimed she developed mesothelioma following years of using Johnson & Johnson’s Baby Powder. Zoas says she used the baby powder daily between 1945 and 1948 and approximately “80 percent of the time” between 1949 and January 2017, according to court documents. Doctors diagnosed her with mesothelioma in March 2017. Imerys confirmed the settlement to Bloomberg news, which broke the story. It was the first publicly reported settlement by Johnson & Johnson in talc litigation. Lawsuits that claim talcum powder caused ovarian cancer outnumber the mesothelioma claims in part because mesothelioma is rare. Only about 3,000 people get the disease a year, according to the American Cancer Society. In contrast, more than 22,200 women will receive an ovarian cancer diagnosis each year. The first ovarian cancer lawsuits did not allege asbestos-contaminated talc caused cancer. Rather, they claimed talc alone could travel into the ovaries and cause inflammation that led to cancer. According to lawsuits, the first studies linking ovarian cancer and talc surfaced in the 1980s, and defendants were aware their products could harm people. Ovarian cancer lawsuits against Johnson & Johnson garnered substantial media attention with big number verdicts in St. Louis courts: $72 million, $70 million and $55 million. In some of these lawsuits, plaintiff’s expert witnesses testified they found talc particles in the ovaries of women with cancer. The largest verdict to date is $4.7 billion awarded in July 2018 to 22 women who say Johnson & Johnson’s talc products led to their ovarian cancer. Unlike the first cases, this claim was historic because it claimed asbestos — and not just talc — was to blame for ovarian cancer. As of April 2019, there were 11,722 lawsuits pending in a multidistrict litigation (MDL) in New Jersey federal court. Johnson & Johnson and talc supplier Imerys Talc are the defendants in the MDL. The federal MDL is still in the early stages, and none of those cases have made it to trial yet. Most of the verdicts have been reached in Missouri and California. People filed lawsuits against makers of major brands of talcum powder products, the largest of which is Johnson & Johnson. They also sued Imerys Talc and other mining companies that supply these manufacturers with raw talc. Manufacturers say they intend to vigorously defend against lawsuits. Imerys Talc, Colgate-Palmolive and other companies have attempted to settle some cases confidentially. For example, in July 2018, Colgate-Palmolive paid a confidential settlement to Paul Garcia, who said he developed mesothelioma after using baby powder made by Mennen, a company previously tied to Colgate-Palmolive. Johnson & Johnson has made no mention of a blanket settlement for its thousands of talcum powder lawsuits thus far, despite the large verdicts against it. How has Johnson & Johnson responded to the link between cancer and its talc products? Attorney Holly Ennis describes how Johnson & Johnson has responded to the association between its products and cancer. 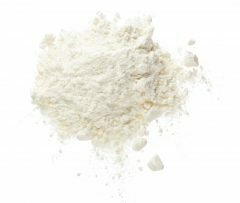 The majority of litigation in talcum powder cases has been focused on individual lawsuits that claim injuries from talc. But there have been at least four class action lawsuits filed over talc-related products and possible cancer risk. Two have been dismissed or absorbed into other cases. These cases claim the products are defective or dangerous but may not necessarily claim injuries. California Talc Class Action – Mona Estrada claimed Johnson & Johnson failed to warn about the cancer risk of its talc products. A California federal judge moved the case to New Jersey making it part of the MDL underway there. A New Jersey federal judge dismissed Estrada’s claim in 2017 saying she did not suffer an actual injury. Illinois Talc Class Action – Barbara Mihalich filed a class action suit claiming Johnson & Johnson profited unjustly from its talcum products. The case, including others who had signed onto it, was transferred to the New Jersey MDL in October 2016. New Jersey Federal Class Action – Investors filed a class-action lawsuit against Johnson & Johnson. They accused the company of failing to disclose that its talcum powder products carried risks of ovarian cancer and mesothelioma. Missouri Class Action – Cynthia Gibson, Heidi Amiro, Lois Arnstein and other plaintiffs filed a class action lawsuit against Johnson & Johnson. The lawsuit claims exposure to talc, asbestos and other carcinogens in Johnson’s Baby Powder and Shower to Shower led to ovarian cancer. Plaintiffs say Johnson & Johnson failed to warn of the cancer risk. U.S. Judicial Panel on Multidistrict Litigation. (2016, October 4). Johnson & Johnson Talcum Powder Products Marketing, Sales Practices and Products Liability Litigation; Transfer Order. Cancer after talcum powder exposure?